I was still sitting at the computer screen a couple of hours later, absolutely hooked. No way was I going anywhere until I’d finished this delightful YA adventure novel set in New Zealand. Their investigation into their family histories is interspersed with daily events on the isolated sheep farm. McConchie’s fluid prose deftly draws us into this rural corner of New Zealand, giving us a taste of a very different lifestyle, without letting the pace or tension slacken one jot. Told in first person through Jo’s viewpoint, one of the main strengths of this book is the spot-on characterisation of the main protagonist, who jumped off the pages and grabbed my attention from the first chapter and didn’t let go until I’d finished the book. 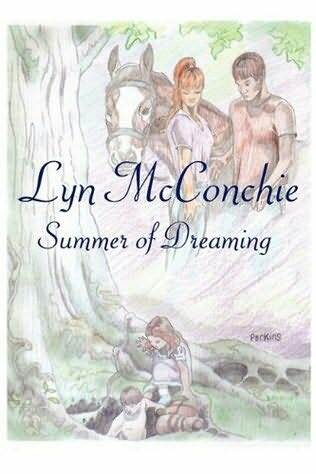 While she ensures that there is nothing too graphic, given the target readership’s age-group, McConchie isn’t afraid to confront her audience with a brutal scenario that didn’t end ‘happily ever after’ for those caught up in it. Do I have any niggles? Well, I’m not too sure about the title. It makes the book sound less adventurous and action-packed than it is. It would be a crying shame if young readers didn’t pick it up because the title didn’t appeal. All in all, Summer of Dreaming is a thoroughly accomplished, entertaining read that thoroughly deserves winning the 2011 Sir Julius Vogel Award for Best Young Adult Novel.